The brothers allegedly fatally shot 22-year-old Jesus De Jose Hinojosa outside the Fast Break Convenience store on Mile 15 Road North and Farm-to-Market Road 88 in rural Weslaco shortly before 7 p.m. Sunday, according to Sheriff J.E. “Eddie” Guerra. Another 23-year-old was shot during the incident and remains in stable condition at a local hospital. The 23-year-old survivor told investigators Isaac Becerra shot him and Hinojosa during a robbery attempt, the affidavits add, which describe Jose Becerra as an accomplice. The sheriff clarified during a press conference Tuesday that investigators believe the brothers intended to steal drugs from the victims and said the Becerras are members of a local street gang. The brothers fled the scene and sheriff’s deputies, with the assistance of the U.S. Marshal’s Fugitive Task Force, the Texas Department of Public Safety and the Harlingen Police Department, apprehended Jose Becerra at a Harlingen hotel at 9 p.m. Nov. 12. 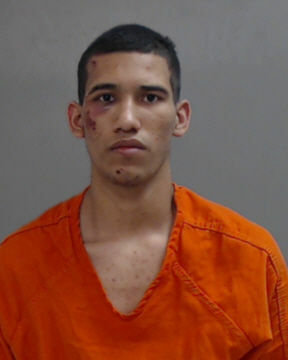 DPS apprehended Isaac Becerra at a Cameron County apartment complex around 3 a.m. Tuesday. This is the third homicide of the year HCSO is investigating Guerra said, and the investigation remains ongoing. The brothers are also believed to be behind a drive-by shooting that occurred 2 miles up the road in Elsa hours before the Weslaco incident. A man called 911 at approximately 4 p.m. to report he had been shot at in the vicinity of F.M. 88 and Eva Street while walking home, Guerra said. The man, who sustained at least one gunshot, told Elsa police the car was occupied by rival gang members, one of whom he recognized as Jose Becerra. Elsa police are investigating that incident and have yet to file charges against the brothers. 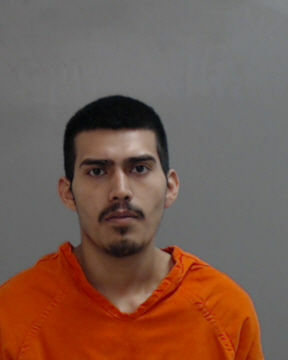 The sheriff said Isaac and Jose Becerra may face additional charges in connection to the Weslaco shooting. The brothers remain in the custody of the Hidalgo County jail.